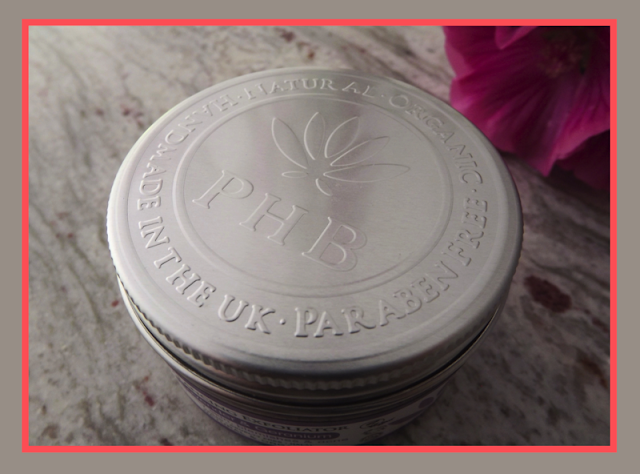 PHB Ethical Beauty is a family-run business which has fast-become home to the world's largest range of natural, vegan, cruelty-free and Halal-certified beauty products. All of their products are homemade and made from pure, untainted and, most importantly, safe ingredients. 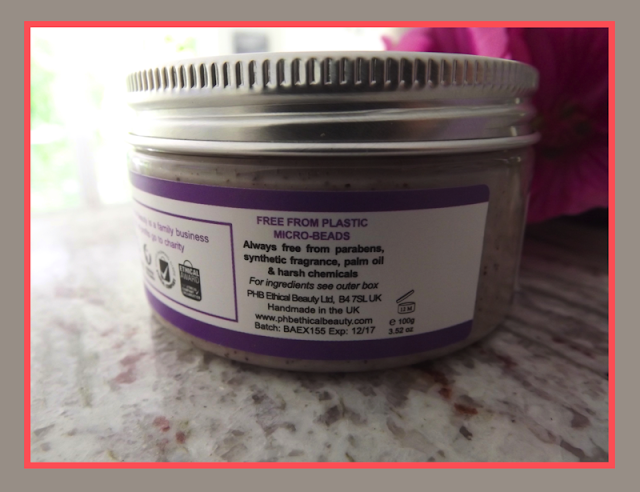 PHB beauty strive to make ethical products - so you will never find animal-derived ingredients, palm oil or plastic micro-beads in their products. One of the most impressive aspects of the brand, in my opinion, is their philanthropic attitude. When I first started using PHB products, 15% of all net profit was donated to charity. Since January 2016 this has been increased to 20%! Finding a company with such a charitable nature is hard to come by - PHB really is one-of-a-kind. They are also in the process of starting their own charity called 'The OneLove Foundation'. This charity is doing great work supporting various different causes. If you're interested in seeing more information on this charitable work, see the following page on the PHB Beauty website: here. Now on to the products! If you look at the website, you'll find an enormous range of skincare products. These are either divided up into type of product, skin type or skin concern. This makes it so easy to find the right product for you - which is really important if you suffer with a skin condition such as psoriasis, eczema, acne etc. For me, I suffer with exacerbations of acne and one such exacerbation has been brought on recently by my exam-stress. My skin has had more spots than it's ever had before and these have been particularly painful. I've also had patchy inflammation and redness. 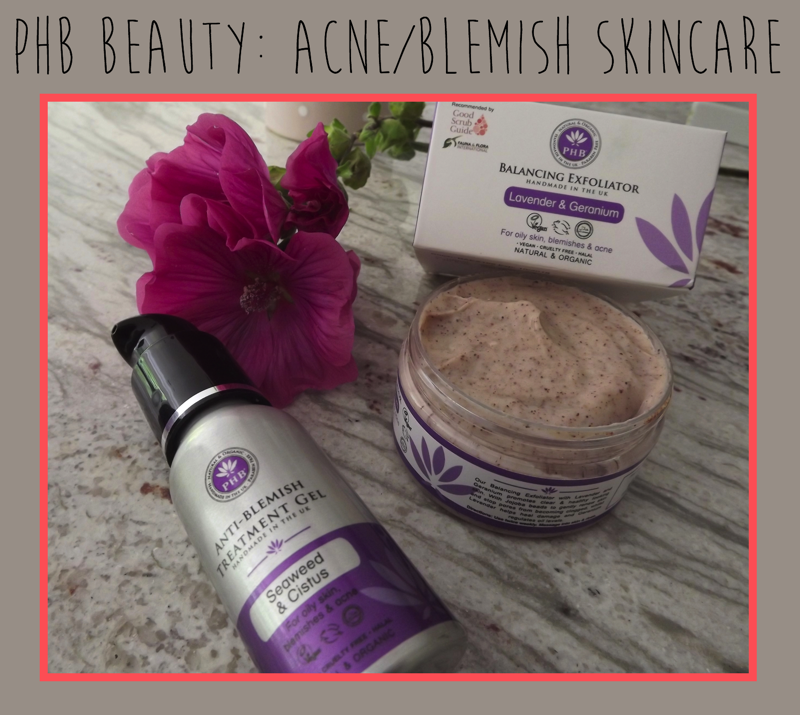 The acne and blemishes skincare range looked right-up-my-street for my current skincare needs, so I decided to try the anti-blemish treatment gel and the balancing exfoliator. I currently already have one PHB gel (the brighten gel - see end of this post for a link to the review) and have been massively impressed by it. For this reason, I really wanted to give this treatment gel a try. It's designed to be a topical treatment gel that will help to relieve and reduce blemishes and also to prevent scarring from occurring. You can either apply it just to the blemish itself, or you can apply it all over your face if you're particularly spot-prone and would like a clearer complexion. So how does it work? 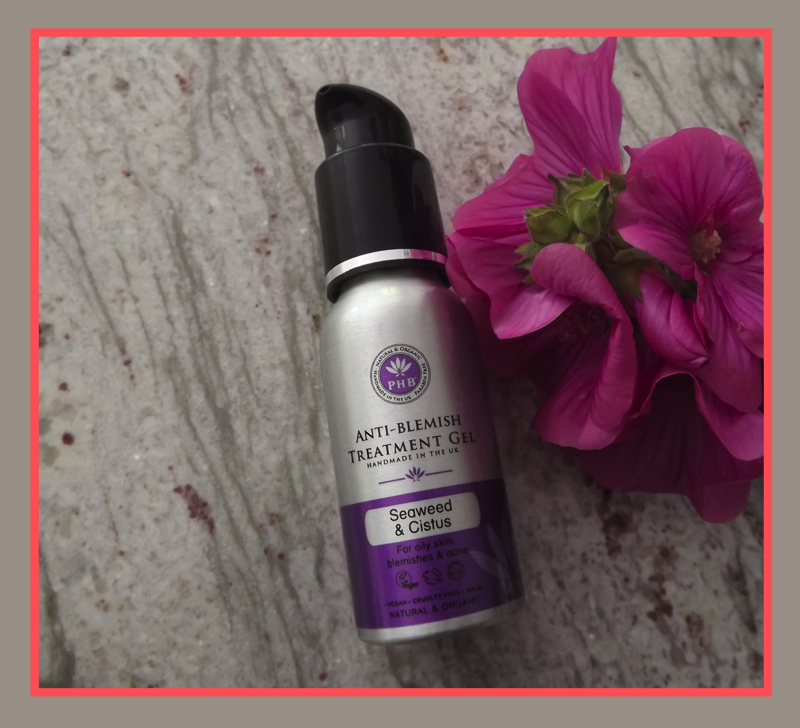 The gel is made from a blend of powerful botanicals including Geranium, Cistus and Palmarosa. 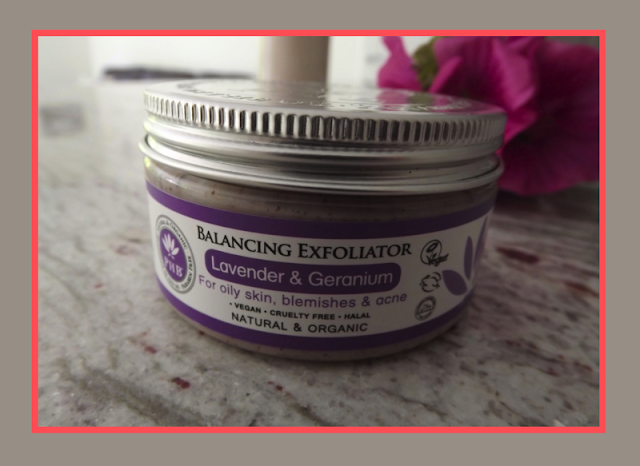 This blend is great for skin-clearing as it sanitises, whilst also reducing inflammation. Organic seaweed and aloe vera are also included in the gel, which aid healing and repair of the skin making scarring a thing of the past. With great ingredients, you want to make sure your skin is absorbing as much of the product as possible. The gel-nature of this topical treatment ensures just that. 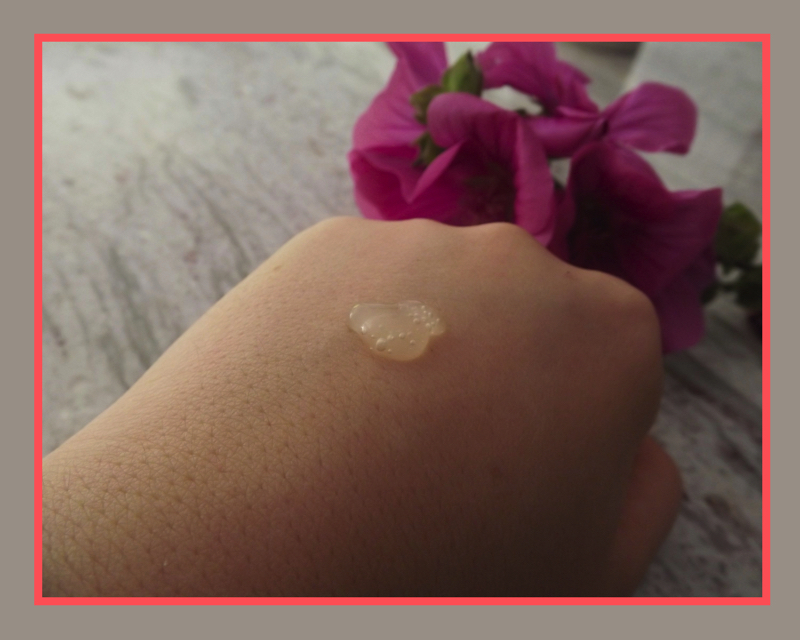 The formula of the gel is unique to PHB and deeply penetrates the skin allowing the botanicals to reach the lowest layers of skin. From reading all about the product, I'm sure you'll agree that it almost sounds too good to be true! So how does it actually perform? First things first, let's talk about application. The pump makes it easy to get a good amount of product to work with. I then dot the gel all over my face before rubbing it in. It takes a matter of seconds for the gel to sink in. 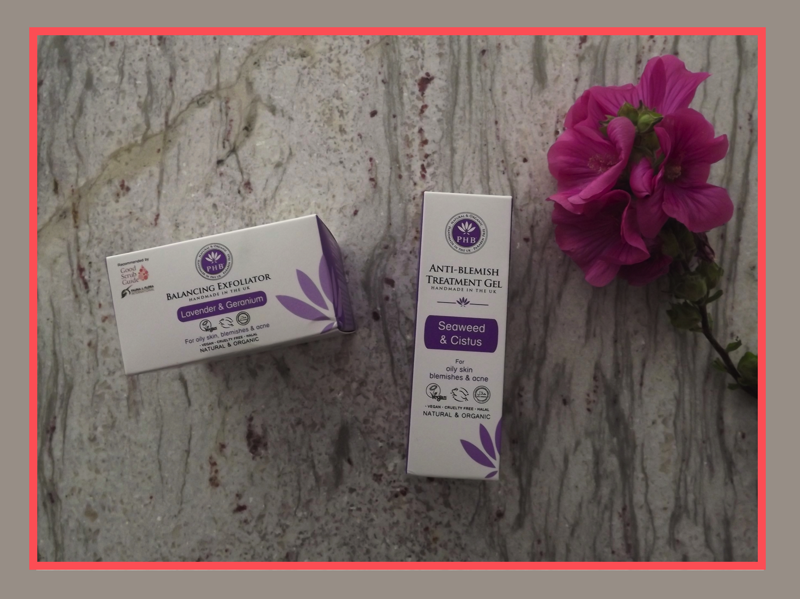 I instantly noticed a degree of relief on my painful blemishes and a wonderful cooling effect on the inflamed patches of my skin. It really is soothing - to the point that I now look forward to applying it each night before I go to sleep! So after using it for a month, I have been really impressed. I've definitely noticed a reduction in the total number of spots I've been getting and, just as importantly, I've noticed that the time it takes for the blemish to resolve has been shortened massively! Whereas it used to take about a week for a blemish to disappear, it's now down to a few days at the most. I've also witnessed a smaller degree of redness around each blemish too - making them a lot less noticeable. This is a product that has really changed my 'skincare game' and I'm really glad that I've discovered it. It's definitely a product that I will continue to use and I'll be repurchasing it when it eventually runs out. For more information, check out the product page on the PHB beauty website: here. If you're acne-prone or have oily skin, then it's really important that you exfoliate twice a week. This will stop a build up of oils, dead skin cells and other nasties developing on top of your skin and sinking into your pores. The problem I often find with exfoliators is that they're a little too harsh for my skin. My skin can be quite sensitive and when I have an an abundance of blemishes exfoliating can be painful. If you have encountered something similar then stop right now, open a new window in your browser and order this product. It's by far the most gentle exfoliator I have ever used, but still gets the job done beautifully. 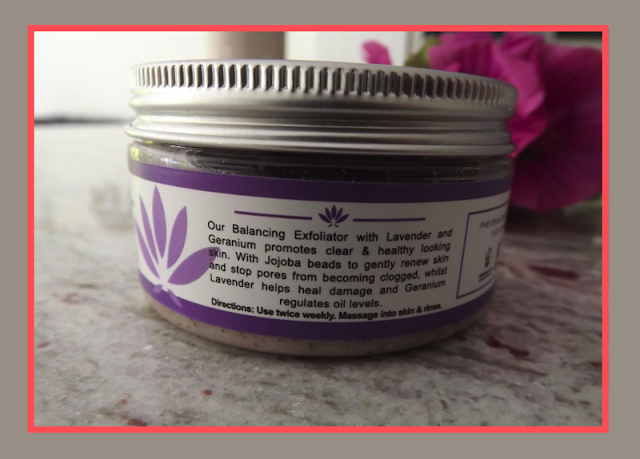 The exfoliator itself is a blend of organic lavender oil and geranium with gentle Jojoba beads. Lavender oil is well-known for it's healing properties so is great for dealing with scarring and blemishes. Geranium, which is also found in the treatment gel, will help to regulate oil levels and thus rebalance your skin. Last but not least, we have the wonderful, and natural, Jojoba beads. These are both gentle to the skin and environmentally friendly. These beads are not as rough as synthetic beads/grains and so will not damage healthy skin - in fact they give a gentle exfoliation which will simply lift away dead skin cells whilst giving the top layer of skin a little polish. 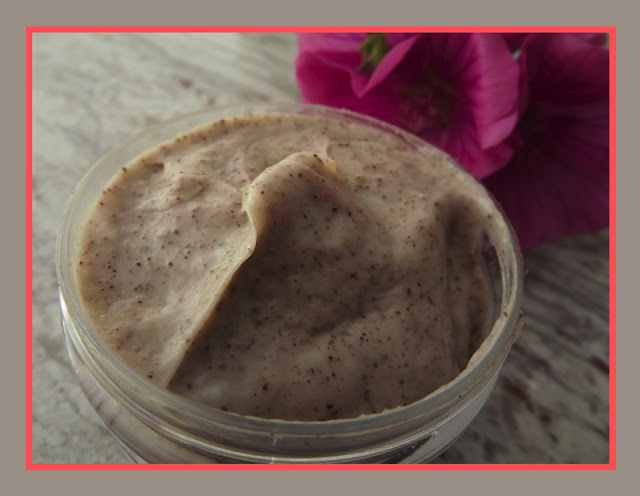 Other ingredients in this exfoliator include organic Tamanu and organic Fukui - these encourage skin healing and enrich the skin with nutrients, respectively. The product is really enjoyable to use. It is has a light fragrance from the lavender oil and this is why I love to use it at night before going to bed. The lavender is incredibly calming and helps me to relax. The consistency of the exfoliator makes it very easy to massage into the skin - I simply use my fingers to rub it in in circular movements. After rinsing, you can definitely feel an improvement in texture on your face. With repeated use, this difference is even more noticeable. Another great thing about this product is that it seems to hydrate your skin as you use it. After rinsing it almost feels as if I've used a moisturiser! In fact, this aspect of the exfoliator means that it's great for use as a quick softening treatment. The website recommends leaving the product on your skin for 2-3 minutes for a super quick softening effect. I'd definitely recommend giving this a try - it's almost like a mini-pampering session! This is definitely a unique product which is 100% worth a try. I think you'll be pleasantly surprised by just how good it is!